The sleek looking Note Wall Hung WC Pan is a contemporary styled toilet ideal for creating the illusion of a larger bathroom with its wall hung design. 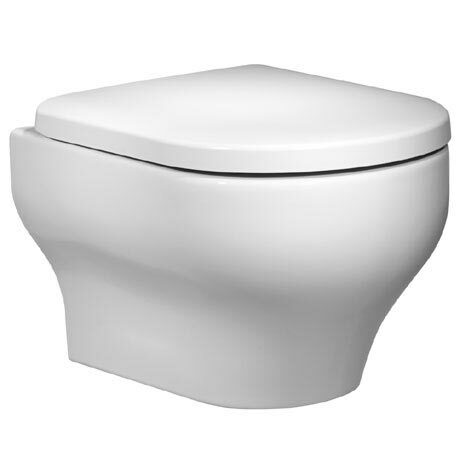 Manufactured from high grade ceramic, the WC pan requires a wall hung frame to support the installation which is sold separately. A stylish d-shape soft close seat is included with a wrap over design, built-in anti-bacterial protection and quick release top fixing hinges.